Amy McCarley Is Making a Scene! Katarina Pejak is Making A Scene! Khalif Wailin Walter is Making a Scene! Interview with the Pros – Legendary Jim Gaines Producer-Engineer! Kid Andersen and Greaseland are Making a Scene! Producer Ben Elliot is Making a Scene! Indie on the Move – Helping Book Indie Artists! An Exclusive Interview with Frank Roszak! An Exclusive Interview with Betsie Brown of Blind Raccoon! An Exclusive Interview with Thomas Ruf of Ruf Records! Sam Bluzman Taylor – Unscrubbed! Dubset – Clearing Mixtapes for DJ’s and Rap Artists! Better Sounding Bass Solos with the POG! 10 Best Music Blogs you can Submit to NOW! What Makes a Good Wireless Guitar System? Get your Music on Spotify Playlists! How to Build a Buzz on Spotify! Georgia Blues and Roots Festival 2018! Blues Music Awards – Moving toward the Future! Independent Blues Awards Voting Starts NOW!! BandLab Launches Cakewalk by BandLab as a FREE DOWNLOAD! Introducing the “Making a Scene” Indie Country Music Show! Gibson Sells Cakewalk’s “Intellectural Property” to BandLab! Track your Airplay with Spinitron! Before you Hire a Music Publicist – READ THIS! Where would you host your music if Soundcloud Closes? 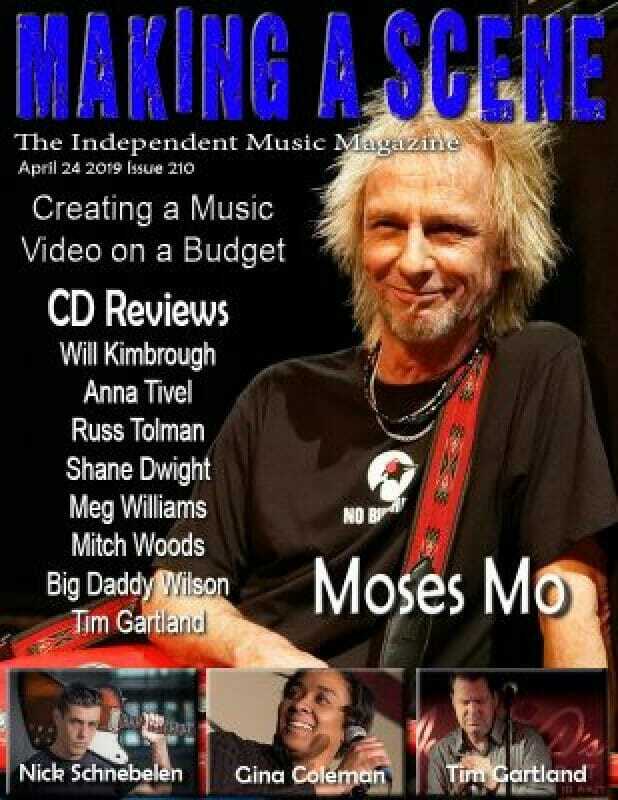 Making a Scene and Reverbnation Team up for the INDIE BLUES VOL 2 Compilation! A Brief History of the Blues. THE App for the Touring Musician – WAZE! 41 Years of the Music Industry in 30 Seconds! DropCards.com – Bringing digital downloads to the Merch Table! Blues Radio Master List for December 2014! Three Blues Radio Stations Chosen as the Best Internationally! Watch BEFORE you purchase Facebook LIKES! Advice to the younger musicians who want to earn a living at their craft. Creating your own Internet Radio Station! Facebook Friends by Location for Events! Root 66 Alternate Roots Reporting Stations! How Loud should your Final Mix Be? Gibson Kills Cakewalk and the Sonar Line of DAW’s! Drum triggers. What they are, and how they work.